Lobby: Mon - Fri 9:00 AM. 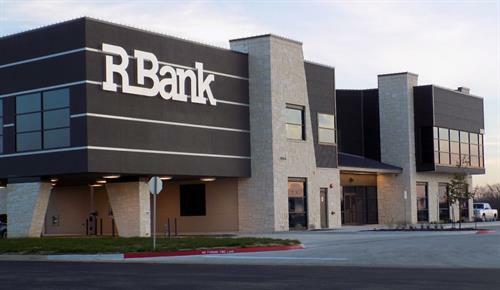 - 4:00 P.
R Bank helps local residents with personal banking, commercial banking, commercial lending and small business lending in Austin and the surrounding communities. When you do business with R Bank, our community bankers take time to listen to your financial needs to help create unique solutions so you can achieve your goals. We?ve put our resources into having knowledgeable community bankers and offer the most effective banking technology available for our customers. R Bank was created by a group of experienced businessmen who reside in the area of have business ties to the region. We believe it?s vital to support the local community and its economy in every way possible.